The Inflection was offered as a fountain pen for around $90. 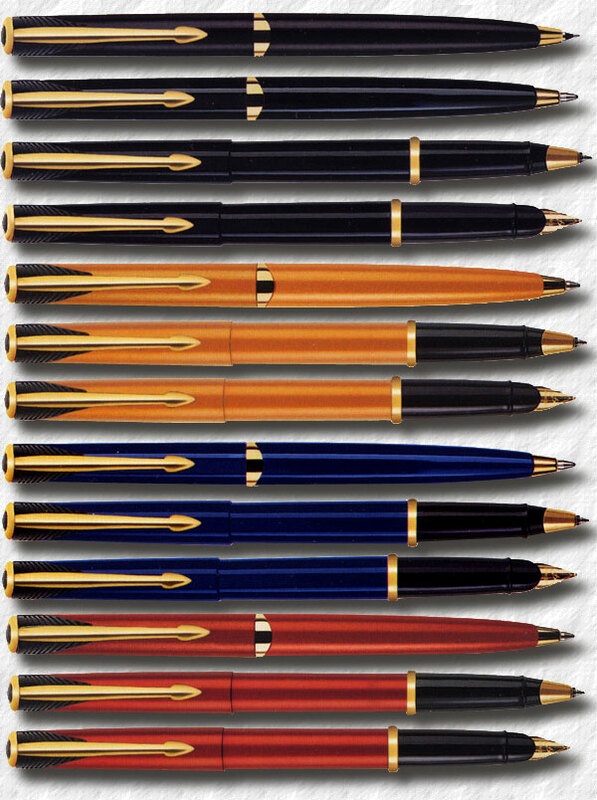 It had a stainless steel 23k gold plated nib with a rounded lip covering the nib, very similiar to the Parker 95. Also offered was a ball pen for around $55, a roller ball for $65 and a pencil that sold for around $55. he Inflection was discontinued in 2004 and was replaced by the Latitude.